Home / General / What Are the Major Benefits of Buying Natural Latex Mattress? The natural latex mattress may just be what you need if you are looking to improve your quality of sleep with a more comfortable and supportive sleeping surface. Natural rubber or latex comes from the rubber tree, which produces the sap used as the main material for the mattress. The elasticity is a crucial factor in the natural latex mattress, as it determines the firmness and the support the mattress can provide. High-quality natural latex mattresses can come in different firmness levels to match your level of comfort and ensure that your body is getting enough support. That way, you can wake up feeling well-rested and refreshed, without any sore spots, aching shoulders and joints, or backaches. There are many other benefits to buying a natural latex mattress. Spinal support is one of them, and this is why it is recommended by discerning orthopedic doctors and chiropractors. This quality may be present in a memory foam mattress, but unlike that alternative, the natural latex mattress is healthier and safer in the long run because it is made of materials that come from nature. Hence, you do not have to worry about synthetic materials and harmful chemicals that can off-gas and seep through your skin to cause health problems like cancer, respiratory diseases, allergies, memory deficit, and fertility issues. Natural rubber repels dust mites, too. 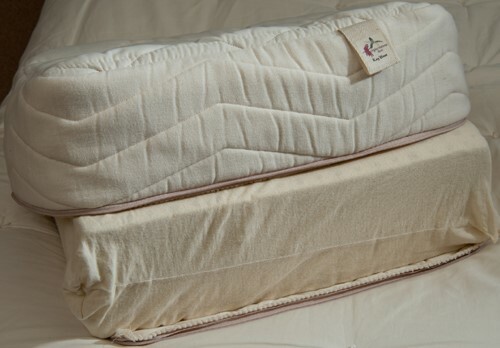 Natural latex mattress can maintain a neutral temperature, which is crucial in the summer or winter. Natural latex allows air to circulate well, making the mattress breathable and more comfortable, even when your surroundings are hot and humid or cold. Another advantage of natural latex mattresses is they do not cause you or your sleeping partner to bounce or move when either of you would toss or turn. Hence, you do not have to worry about waking up each time the person sleeping beside you would move or get in or out of bed.